Debbi Hester is the #1 Selling Agent for ERA Sellers Buyers for 2018, 2017, 2016, 2015, 2014, 20l3. Debbi and her team are dedicated to bringing you the best homes El Paso has to offer. We want you here with us, and we strive for making your relocation to the area an easy one. See the latest and greatest home now available! Click to read the latest news and press releases. Hear from our happy home buyers, and see just why we are your perfect fit. Debbi Hester and her realty team are passionate about finding you the right home that matches your potential. We will be your trusted advisers for your next move and will help you along your next big adventure. We're more than just realtors. We work to make your transition to El Paso seamless and stress-free. We provide the tools, information, and will be there not just to sell you a home, but guide you through the process seamlessly. With our "Moving Families Initiative," we take pride in providing services to those looking to purchase a home in El Paso, Texas. Debbi Hester is a MFI PREFERRED Real Estate Agent. Debbi always goes the extra mile. Beginning in 2017, the "Moving Families Initiative" will help you and your family relocate to beautiful El Paso. Why Move To El Paso? Fun fact: El Paso is one of the 8 cities in the world with perfect weather. Fun fact: El Paso is ranked as one of the safest communities in the United States. Rated one of the safest cities in the U.S.
Debbi Hester is the most successful El Paso Top Producer specializing in westside area, 79912 zip code homes! She has been the #1 producer in El Paso for ERA in 2013, 2014, 2015, 2016 and 2017. Debbi is also ranked 20th among ERA agents nationwide. She is ZILLOW/Trulia rated "One of America's Best Real Estate Agents" Moving Families Initiative Preferred Realtor and loves helping families find the best Westside Residences! Debbi and her team are available to give you a real-time remote tour of the property that peaks your interest! Call, or fill in the form bellow. Copyright © by Debbi Hester. Design by High Elevation. “My family decided seven months ago to relocate to El Paso for my husband’s job. Although he had been to El Paso several times, I visited El Paso once before deciding to move. I enjoyed working with Debbie throughout our home buying process. In addition to helping us find our home, Debbie familiarized me with this fantastic city, introduced me to the school we chose for our elementary age children to attend and helped secure a furnished apartment while looking for our home. “Debbi is a fantastic agent. She patiently worked with my wife and I for over 2 years to find our wonderful house. She knows the El Paso real estate market well. She also takes the time to learn your families needs and desires. She will not let you purchase the wrong house. She ensures you pay the right price for the right house. Debbi and her team(Perry and Jorge) know the purchasing process well. They work diligently to make it a pleasant efficient process. thought it would take longer due to the time of year of the listing. I am very pleased with her efforts and of course, Jorge Roman..
“My husband and I were in the market to move to El Paso from Las Cruces. We had not been in Las Cruces all that long so only had a general idea of where we wanted to live in El Paso, primarily based upon my husbands work location. We have a toddler so in the future schools will be pretty significant for us as well. Debbi was very knowledgeable about the areas we were looking at (the West side and the Upper Valley). She had lots of information regarding schools, parks, neighborhoods, things to do for mothers in the area, etc. All of that information was a great asset in helping to find the ideal home in the best location for us and for schools for the future. Debbi was there to help us through the whole process, and even after the move has been wonderful in helping us find contacts/resources for dental, doctor, dry cleaners, contractors, etc. “Debbi was amazing to work with. we told her what we didn’t want and from there she knew exactly what we did want. She showed us around town and things that were relevant to us. 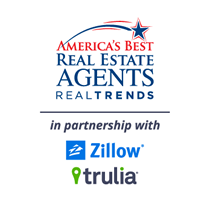 For The Latest Reviews, Please Visit Zillow.com For More!